Cover page of Bone 7: Ghost Circles. 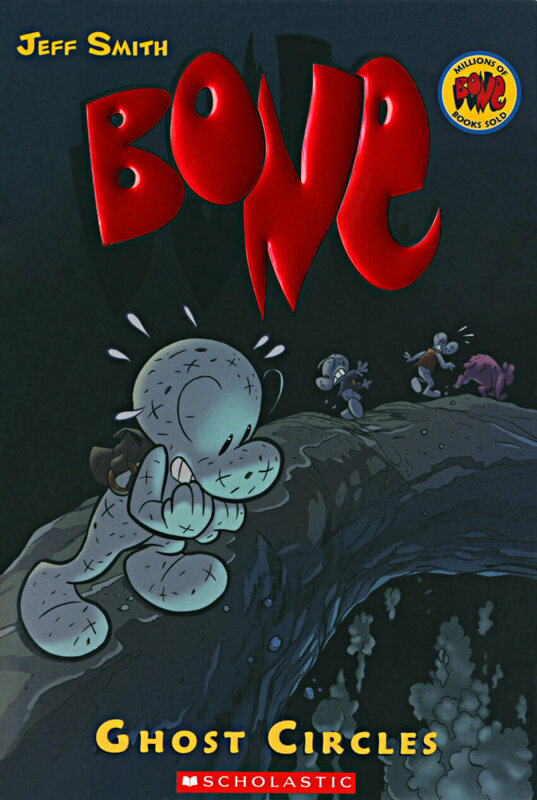 The 7th collected graphic novel edition of Bone Comic series by Jeff Smith. The hilarious thrilling story continus with the destruction of The Valley. Lucius is imprisoned by the Veni Yan warriors in the Old Man’s cave, which is under seiged by the enemy. THe Bone cousins (Fone, Phoney, and Smiley), Thorn, and Granma Ben are running for their lives after facing the Hooded One (Briar) and the Lord of the Locust.